Looking at the lineup of wines, sitting pretty in glasses reflecting the banquet hall light, I imagine where these wine came from. Purple hues and rustic tones gleaming from the Beaujolais, minerality and warmth to the Chardonnay, and vibrant aromas dancing out of the Riesling glasses. I sit and absorb them all, twirling the glasses in my fingertips and grateful to try each and every one. Every vintage, every bottle, every step of the journey it took to get here. Here, a literal island in the middle of the ocean, miles away from these iconic vineyards. These vinters have made the journey, so that we can travel back with them through the lens of the glass itself. 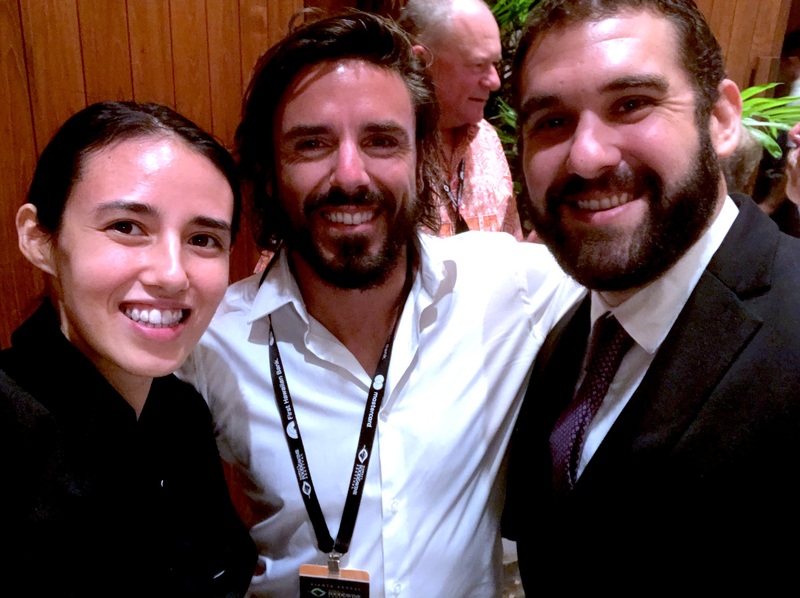 This year at the Hawaii Food and Wine Festival, we were fortunate enough to meet and listen to some of the most iconic wine producers of not just our current generation, but a representation of true wine-making legacies. The day started with the famous exemplary "Gang of Four" tasting of Beaujolais. We were lucky enough to hear stories and methods from Jean Foillard, Charly Thevenet, and Camille Lapierre. 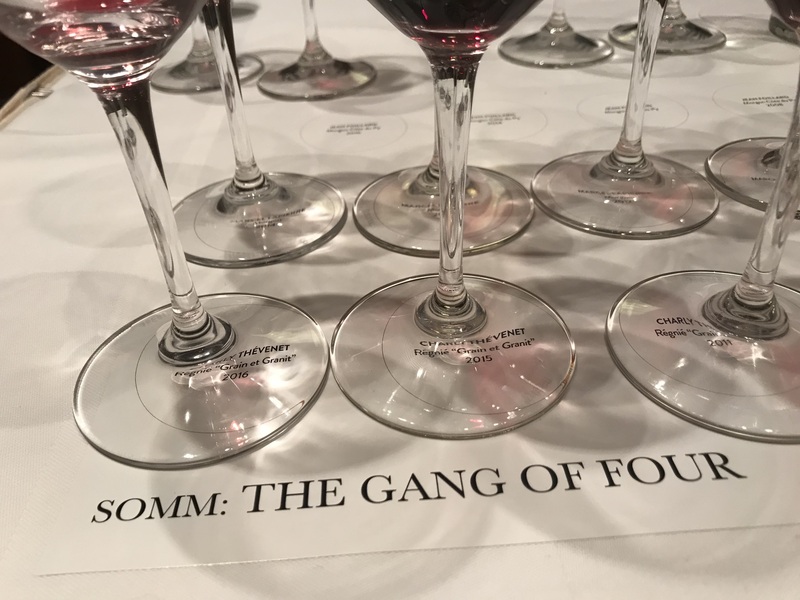 Jean Foillard is an original Gang of Four method, and his wines spoke for himself. His wines were a further extension of him, salt of the earth, with a great presence sans a loud voice. It was also exciting to meet Camille Lapierre, who is the daughter of Marcel Lapierre. Adorned in all black with striking bright red boots, she was a firecracker and showed wines to match that intensity. She carries on her father's legacy with her brother Mathieu, and together I think they make their father's craft proud. Sitting to Camille's left was Charly Thevenet, son of Jean-Paul Thevenet. He had a very organic presence which also suited his father's methodology for making wine. He carries forward his father's love of natural wines. The second seminar of the day was witnessing the great wines of Domaine Robert Denogent. These wines were never trying to be the "Cote d'Or", but had a composure and class to them all their own. They were refined and complex, yet had a beautiful warmth that welcomed any drinker to the region. These are the wines to me that put the Maconnais on the map, and Antoine and Nicholas Robert are just the men to continue that tradition. Their father continued their grandfather's vision, and now it is their turn to make their mark. My personal favorite was tasting "Les Reisses", an 85-year-old monopole vineyard. I felt like I was transported from Hawaii directly to Pouilly-Fuisse with every sip. With the day not over yet, we were still in for yet another treat. The final seminar was a tasting hosted by our local Riesling aficionado, Chuck Furuya, with food by Masaharu Morimoto and wines from Hans Wirsching, Weingut Gunderloch, and Reinhold Haart. It was lunch and a show! Morimoto showcased show-stopping dishes, paired with his amazing Karaoke voice. 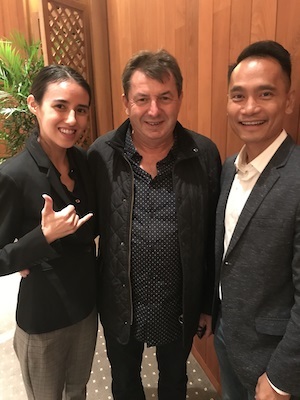 Chuck Furuya echoed the food and wine pairings, displaying how important it is for these Germanic varietals to be embraced with our local, Asian cuisine. 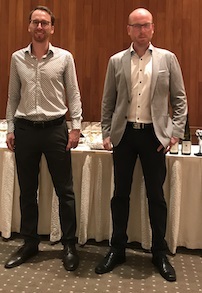 To top it all off, we got to speak with and go into the minds of Johannes Hasselbach of Gunderloch and Johannes Haart of Reinhold Haart. Johannes Hasselbach is a winemaker who has traveled and worked everywhere from Canada to New Zealand, and now he has returned home to the family business. I am honored that he still takes the time to craft our famous Alan Wong's Gunderloch Riesling with such detail and dynamic enthusiasm. The Haart family is another example of iconic winemaking, with traditions being passed down from 1337! Kaarl-Theo Haart has been leading the helm of the wine estate since 1971 and now his son Johannes continues the family's pursuit of quality and sustainable wine. These icons, all brought together by this festival to perpetuate their love of wine, their devotion to their craft, and their family legacies. It is ironically beautiful to me how Hawaii and Europe could be so far apart, yet share so many family values. The idea of tradition, of respecting the old culture, while breathing in the new. It is refreshing to see how many icons were gathered here that day to both reminiscence and taste fresh perspectives. 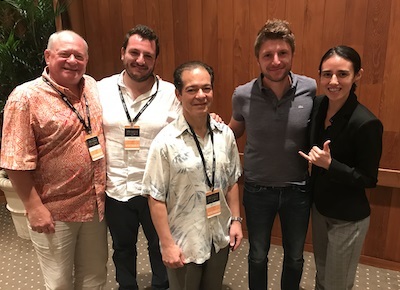 I believe our Hawaii cuisine will always hold a special place for these winemaking families and we will continue to grow together, taste by taste, glass by glass, for years to come.